Evidence continues to pour in that NFL teams are going to have extreme difficulty improving themselves via this year’s free agent market. The tight end position’s yet another example. With Owen Daniels, Bo Scaife and Tony Scheffler reverting back to restricted free agents with the league failure to extend the current CBA, we’re left with a pool half-filled with blocking TEs in their early- to mid-thirties and half-filled with players coming off major injuries. North Korean grocery stores have better selection than this. In short, if your team’s counting on free agency to improve its tight ends, odds are strong they’re still going to be left with loose ends. Notes: Fells is a restricted free agent. McMichael is unrestricted. And in case you’re worried, now-Buffalo TE Joe Klopfenstein is restricted. More tight ends after the jump. 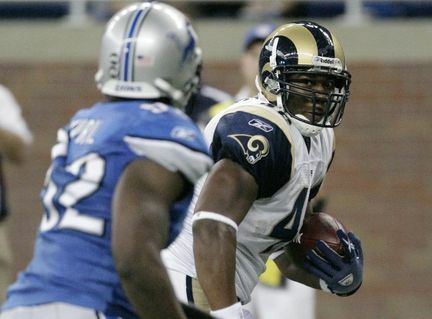 Analysis: McMichael’s one of many Rams who’d be best off forgetting 2009 ever happened. The veteran TE was one of the biggest disappointments on the team. His blocking was occasionally good, but he wasn’t reliable as a receiver at all, committing critical drops all season long. The Rams’ ball-control offense has to have a reliable pass-catching TE to succeed; McMichael turned out to be badly cast for the role. With 3 TDs, Fells was the red zone target McMichael wasn’t, but he has yet to develop into a consistent part of the passing game. It’s a TE corps in bad need of speed, skill at getting open and ability to make plays after the catch. Blocking TE Bajema at least exceeded expectations, showing unexpectedly good hands in making the occasional play downfield. Viewing the field: That top five should tell you all you need to know about the thinness of this year’s free agent market. Heh, I just used the word “thin” while referring to Brandon Manumaleuna and Alge Crumpler. The heavyweight of the group, though, is definitely Watson, a fine athlete with excellent speed, a favorite of some of us Rams draftniks back in 2004. Though not a top blocker, Watson can run all the routes, and has to feel left out of the NFL’s recent explosion at TE the way he’s been used in New England. Watson has to be itching for the chance to be a major offensive contributor. Yes, I ranked Manu second. He developed into a good blocking TE in San Diego and is still a viable goal line target. If you’re going to go after Michael Vick, you might as well get him his old favorite target in the 400-lb. Crumpler, no? He’s about 1/3 as productive as he was at his career peak, though (and 1/3 heavier). Heller’s a Manu-type, though his 29 catches last year nearly matched his combined output from the previous SIX seasons. Pope took over the starting job in Kansas City by the end of last season and could be an attractive option for his youth (26) and height (6’8), though he’s still susceptible to sloppy play. Martin, Miller or Kelly would all be reclamation projects coming off injuries that cost them their 2009 seasons. Miller, 32, coming off a torn Achilles, has been a good clutch receiver and had 45 catches for New Orleans in ’08. Martin, 30, recovering from a sports hernia, has good hands, decent speed, and had back-to-back 30-catch seasons for Miami before the injury. Kelly, 32, missed ’09 in Cincinnati due to a ruptured Achilles (ouch) but had a career-high 31 catches in ’08. You could do worse than one of these guys. For instance, McMichael. Or Becht, another of those guys who blocks well everywhere unless you bring him to St. Louis. RamView’s move: Do you trade out of the Suh-weet spot? 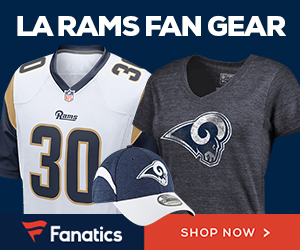 The Rams’ biggest need this offseason appears to be more draft picks. It’s going to be hard to come away with a decent TE prospect this year and fill arguably bigger needs otherwise. As you can see, short of throwing ridiculous money at Watson, free agency’s not going to be much help. The Combine will probably reveal a nice later-rounds prospect, ala Kevin Boss a couple of years ago, who the Rams can pick up, but it looks like that’s about the best chance for improvement here. If you sign a guy like Manu, you’re going to get almost zero offense out of the position; one of the reclamation projects, you’re probably giving up too much blocking. So I’m hoping I make a good call based on the Combine; I luck out there sometimes. Prediction: We’ll see Watson in St. Louis next year, but more likely in the visiting uniform of the Chiefs, aka Patriots West. While they hope Fells breaks out, the Rams’ only likely TE signing will be to get a high-character veteran who’s only a year older than Watson, and has 3 60-catch seasons to his credit. You guessed it: Randy McMichael.